BEIJING: A Chinese lunar rover landed on the far side of the moon yesterday, in a global first that boosts Beijing’s ambitions to become a space superpower. The Chang’e-4 probe touched down and sent a photo of the so-called “dark side” of the moon to the Queqiao satellite, which will relay communications to controllers on Earth, China’s national space agency said on its website. Beijing is pouring billions into its military-run space program, with hopes of having a crewed space station by 2022, and of eventually sending humans to the moon. The Chang’e-4 lunar probe mission-named after the moon goddess in Chinese mythology-launched in December from the southwestern Xichang launch centre. 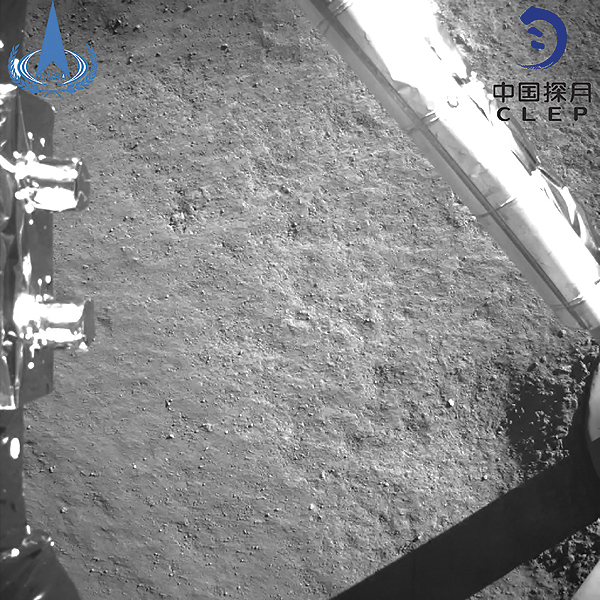 It is the second Chinese probe to land on the moon, following the Yutu (Jade Rabbit) rover mission in 2013. Unlike the near side of the moon that offers many flat areas to touch down on, the far side is mountainous and rugged. The moon is “tidally locked” to Earth in its rotation so the same side is always facing Earth. Chang’e-4 is carrying six experiments from China and four from abroad, including low-frequency radio astronomical studies-aiming to take advantage of the lack of interference on the moons’ far side. Beijing is planning to send another lunar lander, Chang’e-5, later this year to collect samples and bring them back to Earth. It is among a slew of ambitious Chinese targets, which include a reusable launcher by 2021, a super-powerful rocket capable of delivering payloads heavier than those NASA and private rocket firm SpaceX can handle, a moon base, a permanently crewed space station, and a Mars rover. It was not until 1959 that the Soviet Union captured the first images of the moon’s mysterious and heavily cratered “dark side”. No lander or rover has ever previously touched the surface there, and it is no easy technological feat-China has been preparing for this moment for years. A major challenge for the mission was communicating with the robotic lander as there is no direct “line of sight” for signals to the far side of the moon. As a solution, China in May blasted the Queqiao (Magpie Bridge) satellite into the moon’s orbit, positioning it so that it can relay data and commands between the lander and Earth. In another extreme hurdle, during the lunar night-which lasts 14 Earth days-temperatures drop to as low as minus 173 degrees Celsius.